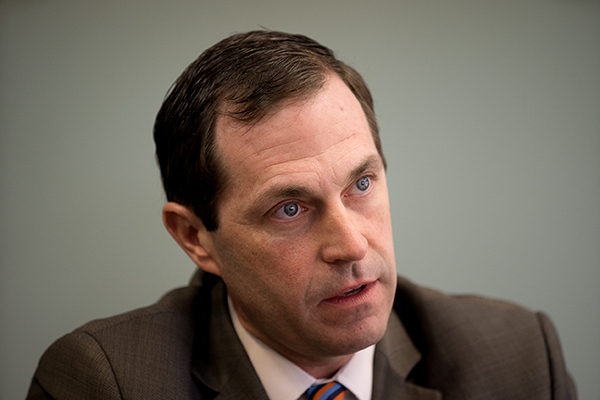 AURORA | Aurora Congressman Jason Crow’s guest to the State of the Union this week will be Mary Majok, a Sundanese refugee who lost her son to gun violence last year. 21-year-old Potros Mabany was killed in March. According to police reports he was shot in the head and chest by Joseph Goudy Lugo, 39, after an altercation at an Aurora apartment complex. “Mary fled a brutal civil war to provide a better world for her children, only to lose her son to gun violence in the United States. The death of Potros is heartbreaking and underscores the impact of gun violence on so many families in America today,” Crow said in a statement. The issue of gun violence has been near the top of Crow’s priority list since elected. He was most recently named vice chair of the Gun Violence Prevention Task Force for this session of Congress. During the campaign, Crow earned the endorsement of Giffords, the gun violence prevention organization founded by former Congresswoman Gabrielle Giffords and her husband. Giffords was shot at a constituent meeting in 2011. Before being elected, Crow hosted a town hall specifically on the topic of gun violence, where he said he would champion reg flag legislation, universal background checks and banning military-style assault rifles. Mary Majok’s status as a refugee from a country that is covered by the temporary protective status program also reflects Crow’s effort to work on immigration issues. Crow told the Sentinel in December TPS would be a focus of his along with the Deferred Action for Childhood Arrival program. The State of the Union will air Tuesday at 7 p.m.